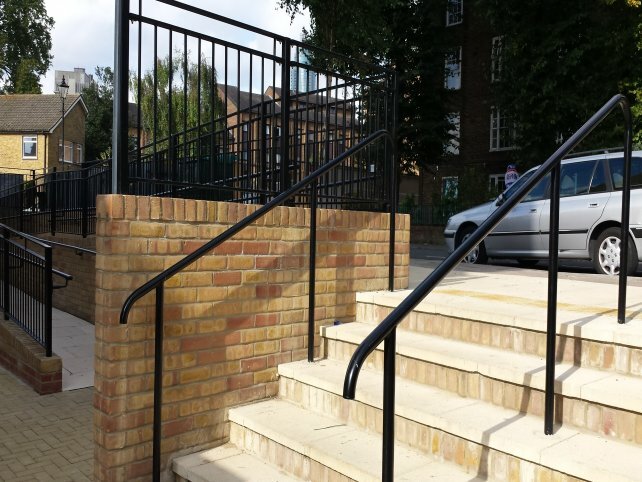 The Ashmole Estate is located opposite The Oval cricket ground in the London Borough of Lambeth. 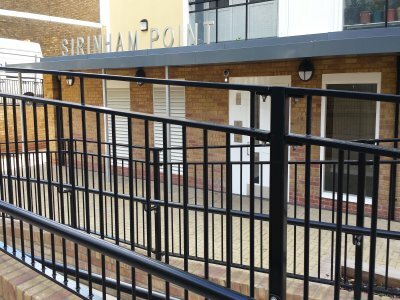 Owned by Metropolitan Housing it is a mixture of 1930’s 5-storey walk up blocks, 1970’s tower blocks, maisonettes and houses all of which required major refurbishment. 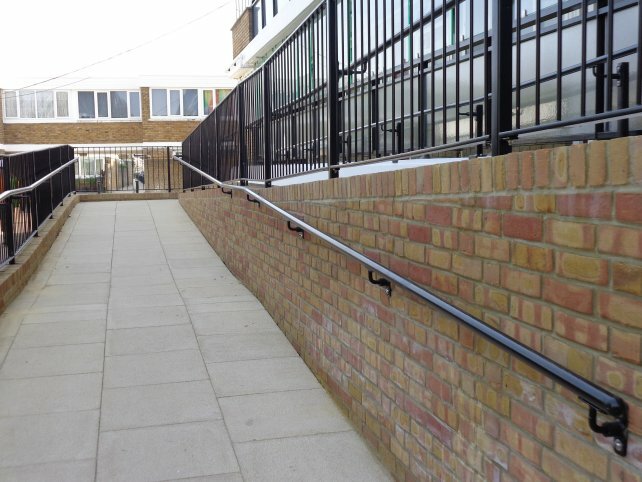 Construction, development, maintenance and management company Rydon Group secured the contract to undertake extensive building and refurbishment works in Phase 1 of a £20m project to be completed by the end of 2014. 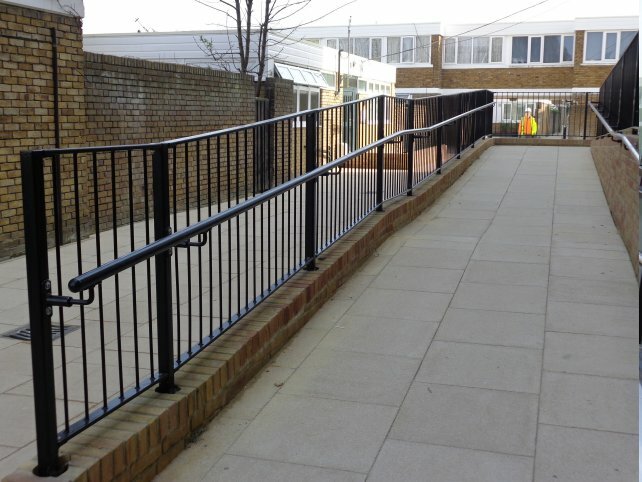 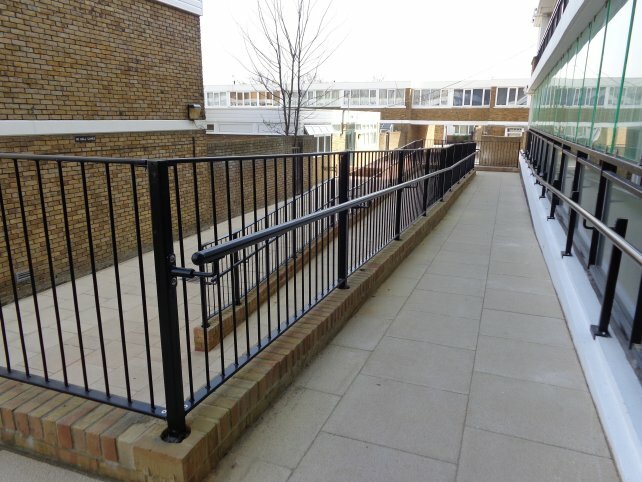 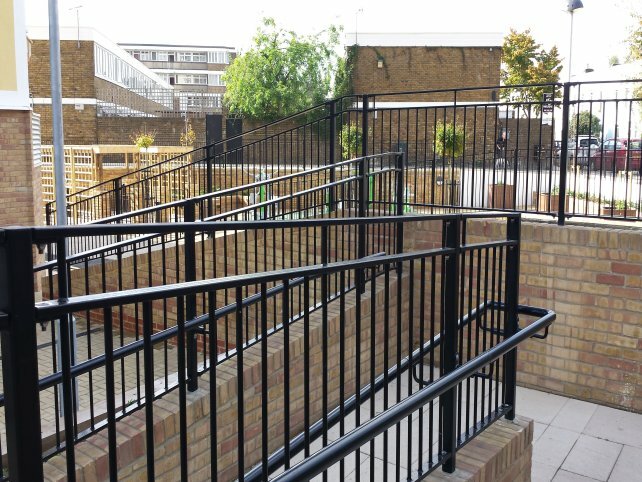 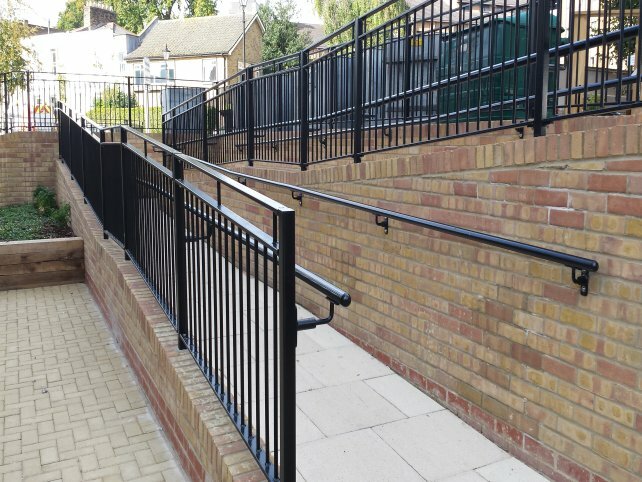 Alpha Rail was appointed by Rydon to supply & Install bow top railings, flat top railings, single leaf gates, balustrade and handrails for walk ways, property frontages and other boundary areas within the estate. 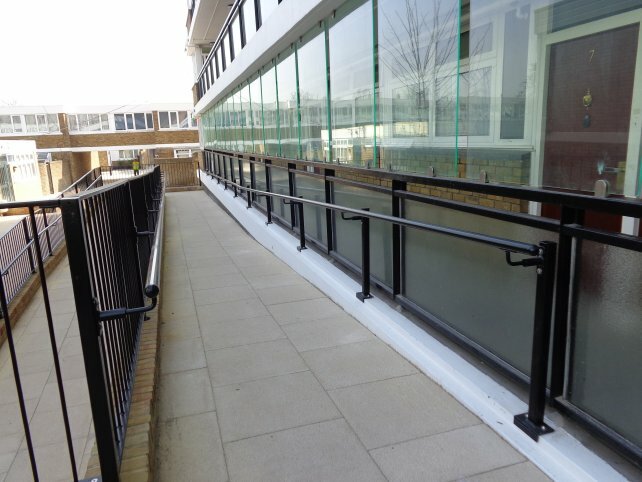 All products were supplied hot dip galvanized and powder coated black to ensure low maintenance and longevity of appearance. 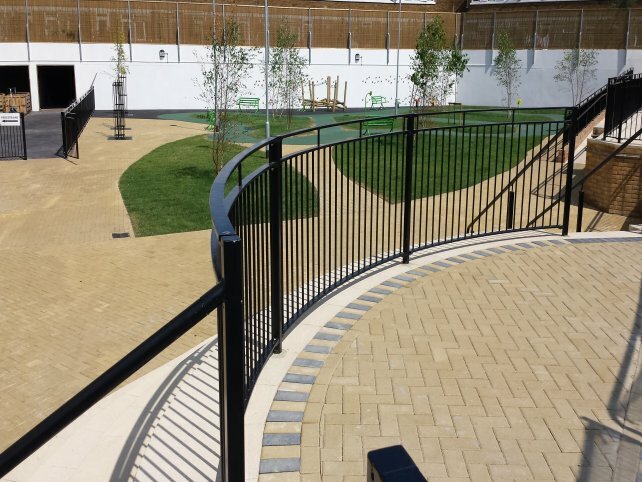 Richard Darch, Senior Surveyor, Rydon Group.